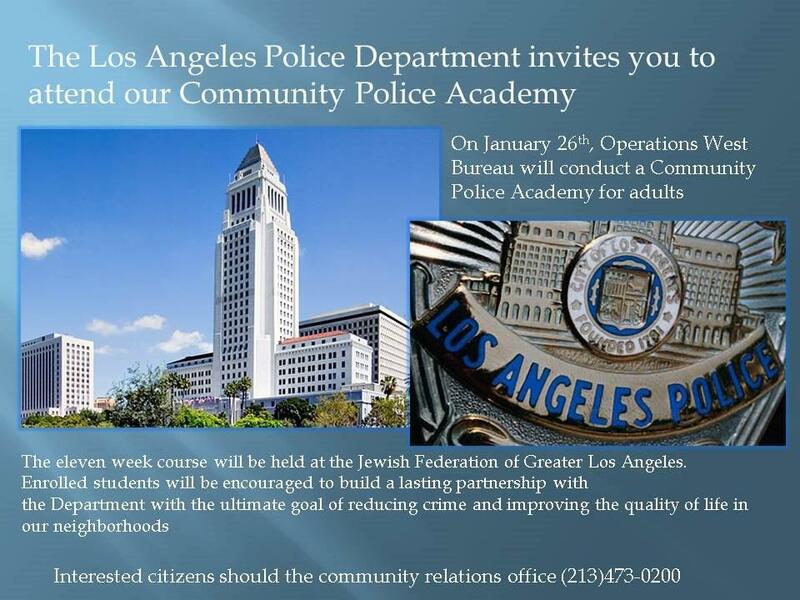 The LAPD has an upcoming Community Police Academy coming up on January 26th. It’s an 11 week course that will be held at the Jewish Federation of Greater Los Angeles (6505 W. Wilshire Bl.). The class will meet each Tuesday evening between 6:30 PM and 9:30 PM. The course will conclude with a graduation ceremony on April 5th. If you have additional questions about the academy, you can contact the Community Relations Office (213) 473-0200 or contact me.